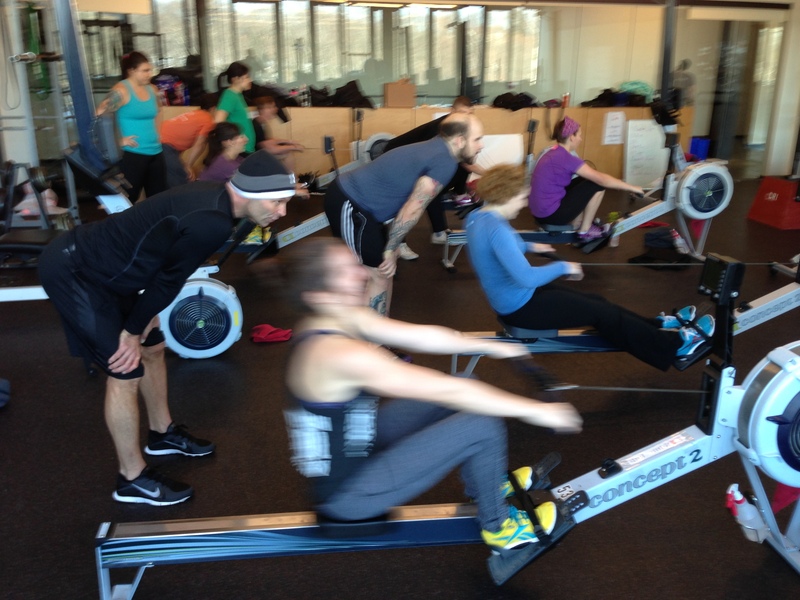 Rest Day 11/24/13: How do you introduce rowing to new rowers? Athletes from CFH2O getting after a partner 2k at the Renegade Rowing Workshop earlier this year! This past Friday I introduced a new client at the gym to rowing. I was only using rowing as part of the warmup, but still needed to impart some words of advice on technique and “how to row” without taking the whole session. I imagine it’s a challenge that a lot of athletes, rowers, and trainers run into. What do you do with a class or client when there is limited time and you’d like to get them rowing well enough to have fun, push themselves, and walk away having learned something? Below is a video I made when I was in the Institute for Rowing Leadership a couple of years ago. One thing I might modify for using this type of intro in a gym setting would be to say the words “Push Away” instead of “Stretch Away” in order to emphasize that rowing is a pushing sport. Try both though and see what happens. If you have any good ideas or experiences for introducing rowing in 5min to new rowers or a class of athletes please share to comments! This entry was posted in Motivation, Our Mission, Rowing and tagged exercise, functional movements, health, inspiration, new sport, people, personal experiences, recruitment patterns, rowing, sports, training by Renegade Rowing. Bookmark the permalink.